In a surprising move that reflects modern viewing habits, the National Basketball Association recently announced that it is considering shortening the length of games due to the diminishing attention span of millennials. If this sounds like a problem isolated to basketball, it isn’t. Think about how exactly you watch the Super Bowl–maybe at a large party with family, friends, pizza and beer. What is everyone doing? Watching the game undistracted from their smartphones, tablets, and laptops? Yeah … I didn’t think so. To understand how users behave during the “Big Game,” Salesforce conducted a survey prior to Super Bowl 50 and found that 80 percent of viewers planned on using two or more screens while viewing. They discovered that social media was the main distraction, with Facebook leading the way, followed by Twitter. But let’s be clear: It’s not just social media that is distracting Super Bowl viewers. Data taken from in-game activity has shown increased activity on sports applications such as NFL Mobile and NBC Sports, and an increase in website visits to Super Bowl advertisers. In short, even during the Super Bowl, viewers are distracted AF and rely heavily on their phones to communicate with friends, check out highlights and commentary and Google search the advertisers they see on screen. Factor in the always-entertaining halftime show, and the game itself becomes only a small part of the overall Super Bowl Sunday experience. While this may seem like a gloomy predicament for the biggest television event of the year, it’s a great opportunity for publishers to tackle users’ attention. By providing distracted viewers with interactive content–such as trivia quizzes, ranked lists and polls–publishers can make readers feel like they are a part of the game by testing their knowledge or giving them a platform to share an opinion on a play or controversial call. MTV utilized this strategy during Super Bowl 50, publishing a quiz titled, “Which Team Should You Root for in Super Bowl 50?” Readers spent almost a minute-and-a-half on this content item, six times longer than the industry average of 15 seconds. For large advertisers, forking over the $5 million it costs for a 30-second commercial may be a worthwhile investment not just because of the large audience, but due to the inherent nature of Super Bowl Sunday. The day itself has become so commercialized that users are actually looking forward to, and eagerly searching for, awesome ads. This is where small, underdog brands can thrive. Between preparations, gameplay, commercials and the halftime show, brands have the complete picture of consumer behavior and can reach them on the platforms that are already distracting them. In that regard, Super Bowl Sunday is the perfect day for brands with smaller budgets to create immersive, touchdown-worthy content and give consumers what they want, where they want it, when they want it most. 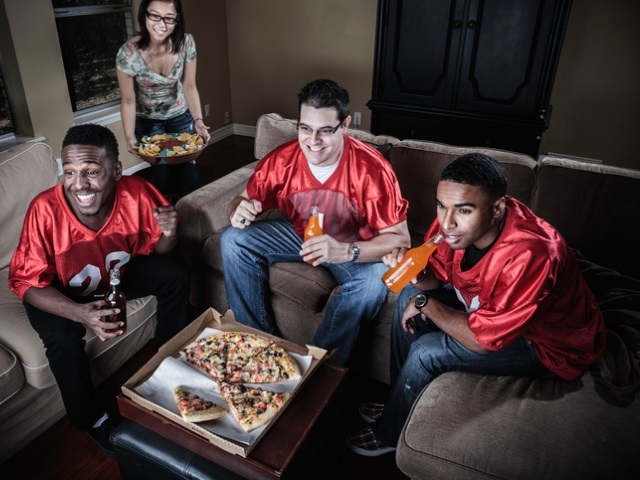 For example, in the hours prior to kickoff, smaller food and restaurant brands can step up their game on social media and serve delicious ads to hungry viewers. Similarly, a lifestyle brand knows that during the halftime show, attention will drift to fashion and music, and with an impactful poll asking them to vote on the performance or a ranked list asking them to compare it to years’ prior, they can walk away feeling involved. So while the National Football League has no plans of shortening the Super Bowl to reflect fidgety millennials, brands and publishers alike can exploit the most commercial Sunday of the year and make the Super Bowl just a little less boring. Shachar Orren is vice president of content at authoring and distribution platform Playbuzz. Image courtesy of Margaret Sucsy/iStock.